PristineSofts helps you with trending & high end material designs, customer-centric & cost effective mobile application development services. Our expert team discovers recent trends and technology by appreciating every single critical part of the most recent android form and future execution challenges. 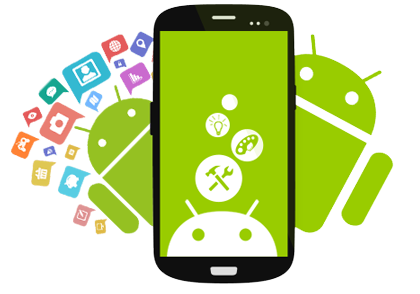 Our team provides you the best technology driven, customer-centric & user friendly solution for your Android projects. From portfolio apps to enterprise and Ecommerce applications, Our team serves you with all the expertise required to deliver your an android application as per your requirements, keeping your time & cost factors in mind. We offer native as well as Hybrid mobile application development services for all type of business sectors. Our android application development services incorporate coordinated consistent applications that are profoundly useful and integrate overwhelming highlights to suit your business. Native android applications are particular to android platform utilizing the development tools and language that the android platform such as Android studio, Google’s Material Design and Java. Native applications look and perform best because of satisfactory access to device’s parameters and android-particular highlights. A multidisciplinary group of experts, which guarantees quality services to our customers.